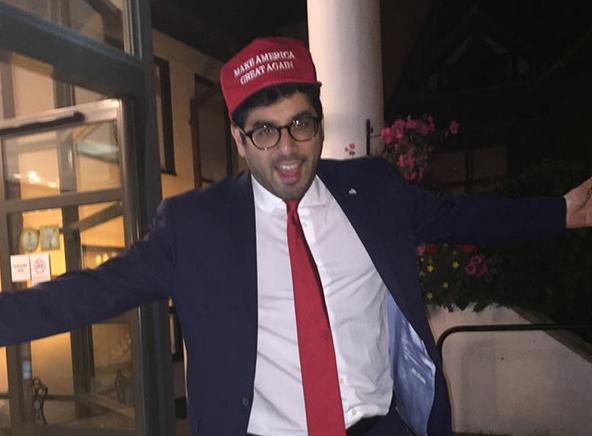 Leadership candidate, Raheem Kassam, has apologised and promised to change his ways after being called out for verbally abusing leadership rival Suzanne Evans. Kassam called Evans a "wrinkly old ginger bird" and has reportedly been "incredibly sexist" toward her. He says that he apologised to her at a patron's dinner this week but Evans says that he did no such thing. Raheem Kassam fancies himself as the heir to Farage which is something of an insult to the man who turned UK politics upside down and secured our independence from the EU. Nigel Farage is straight talking and brutally honest, Kassam is just rude and offensive. When the Independent wants Kassam to win to destroy the party it's a pretty clear indication that there is something seriously wrong with him. I normally try to avoid taking sides in internal elections but if this man somehow ends up winning the leadership election I will return my membership card and I know I'm not alone.